Just last year, we reported that Ohio dealership Lebanon Ford offered a great deal on a 727-horsepower supercharged Mustang GT for just $40,000. This year, the dealership is offering a new package that, while not necessarily more powerful off the bat, has the potential to make a stunning 1,200 horsepower. Now we should emphasize "potential" in that sentence, because Lebanon Ford does so as well. The folks there stressed to us that this twin-turbo package is meant to be a quality, affordable base that someone can add to and improve on to reach higher outputs. 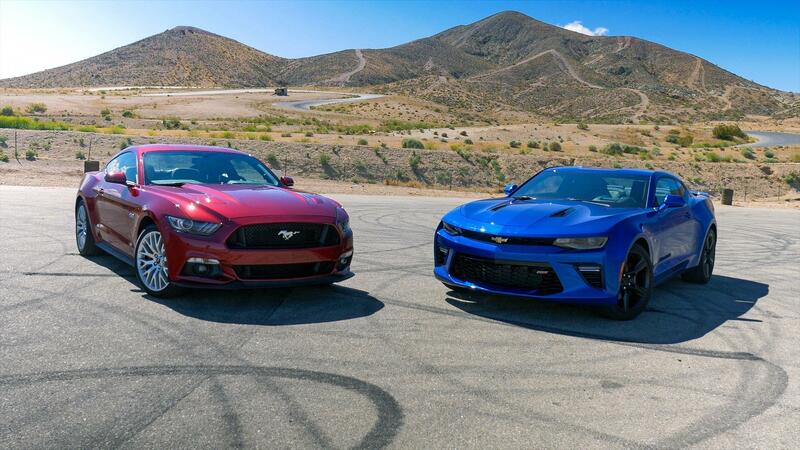 So what you get for the base price of $45,499, before taxes and fees, is a twin-turbocharged V8 Mustang that produces around 550 horsepower to the rear wheels at 5 psi. Lebanon Ford told us that one of the cars it built is making 600 horsepower at the wheels with 6 psi of boost. The dealer points out that this power can be increased by turning up the boost, however it would be advisable to consider some supporting modifications when increasing boost substantially. The dealer also offers a more expensive kit with some of those supporting modifications to handle higher horsepower. For $4,400 more, Lebanon Ford will install larger injectors, boost the output of the fuel pump, and add stronger oil pump gears and rear axleshafts. This kit would probably be ideal for someone looking to make big power numbers. Lebanon Ford also suggested that someone looking to build one of these Mustangs into a 1,200-horsepower monster should consider even larger injectors than in the upgraded kit, and a more powerful fuel pump. Lebanon Ford said that it is happy to work with a buyer to provide custom specs different from these packages. It would be willing to use different parts as requested, as well as additional components. Of course, this would likely cost more. If you're interested in one of these turbo Mustangs, or even the supercharged version, you can check out the dealer's website for more details on the kit, and information on how to order one.